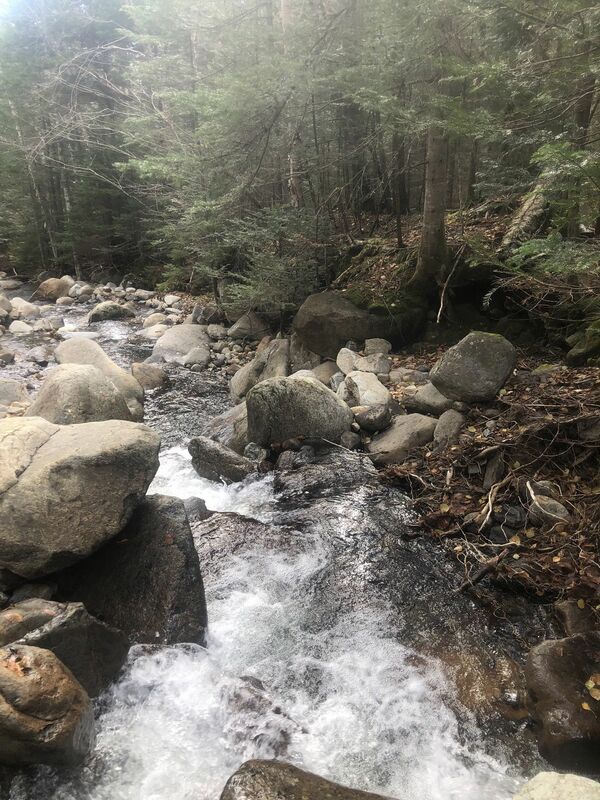 Mount Moosilauke and South Peak Loop is a 7.2 mile moderately trafficked loop trail located near North Woodstock, New Hampshire that features a river and is rated as difficult. The trail offers a number of activity options and is best used from March until November. Dogs are also able to use this trail. 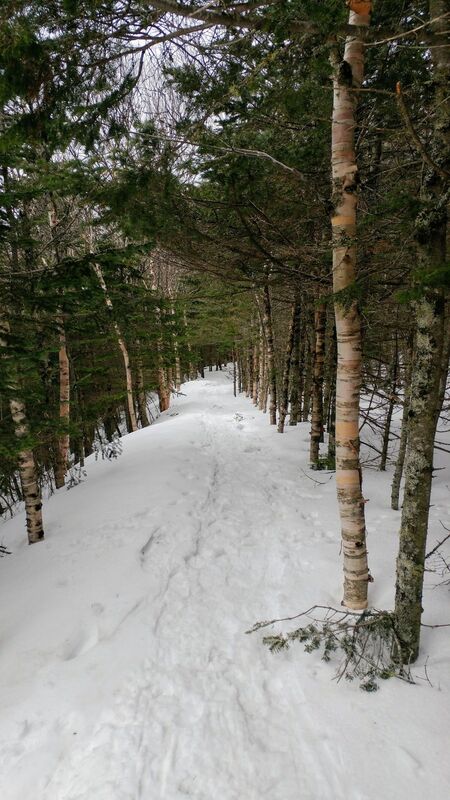 A fun loop hike with an optional epic backcountry ski descent if you choose the right time of year. 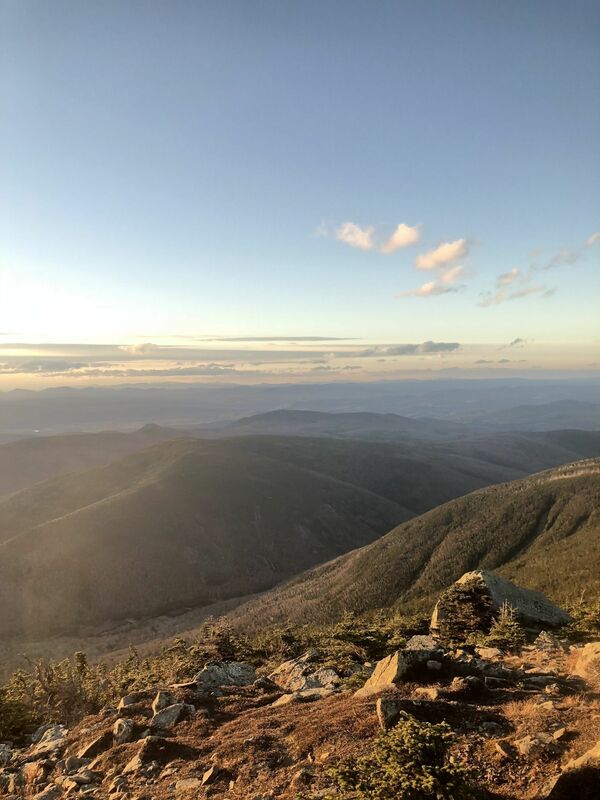 This hike takes you up the Gorge Brook Trail from the Ravine Lodge Trailhead to the summit of the massive Mt. Moosilauke which used to have a hotel at the top believe it or not. You will still be able to see the old foundation up there. 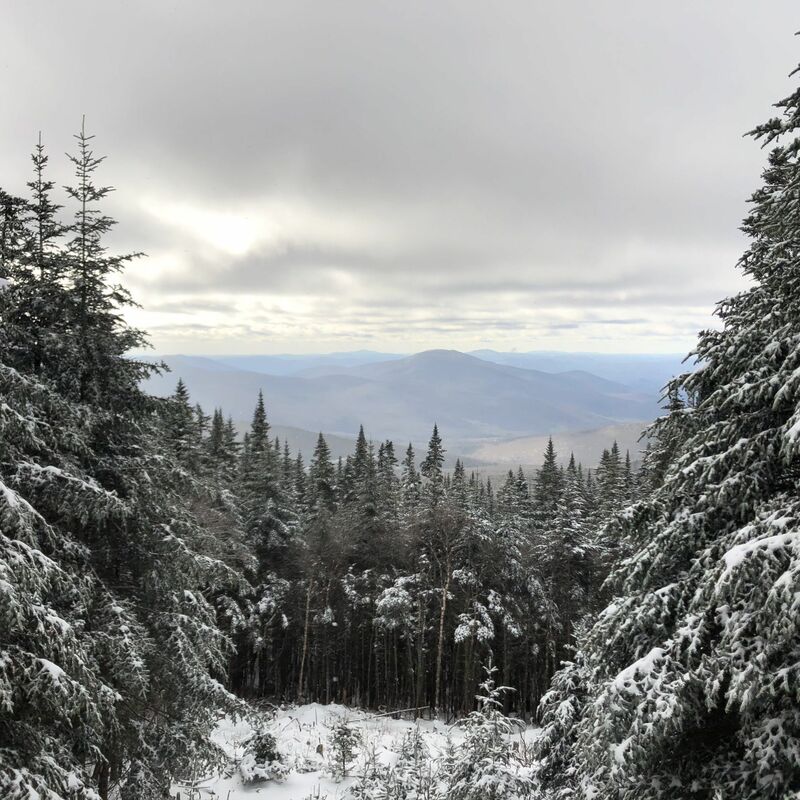 In the winter, from the top you can descend/ski to the South Peak to check it out before skiing powder and heading down a wide carriage road and ski connector path to the bottom. You are at the top of this massive dome of a mountain. 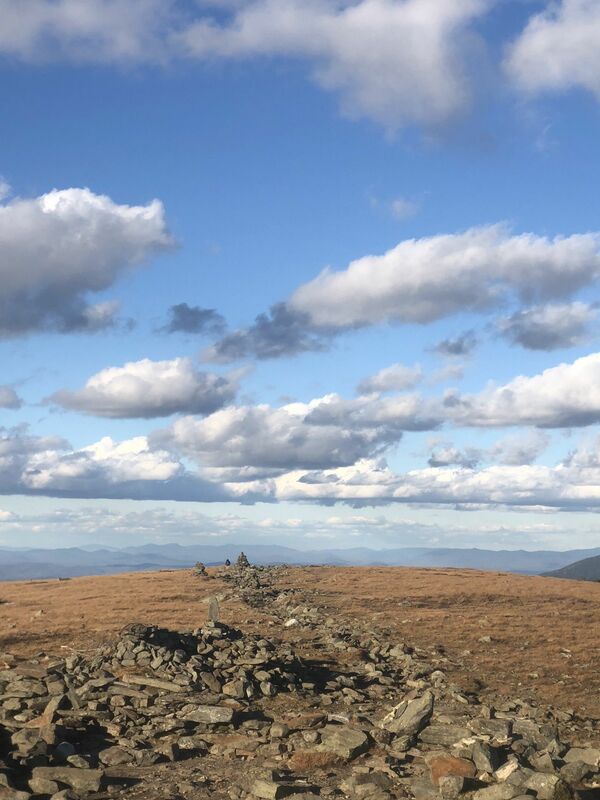 There is a large cairn marking the summit and you may be able to discern the foundation of an old summit hotel. From here you are going to descend to the South Peak and then head down the Old Carraige Road to the Snap trail back to the Trailhead. 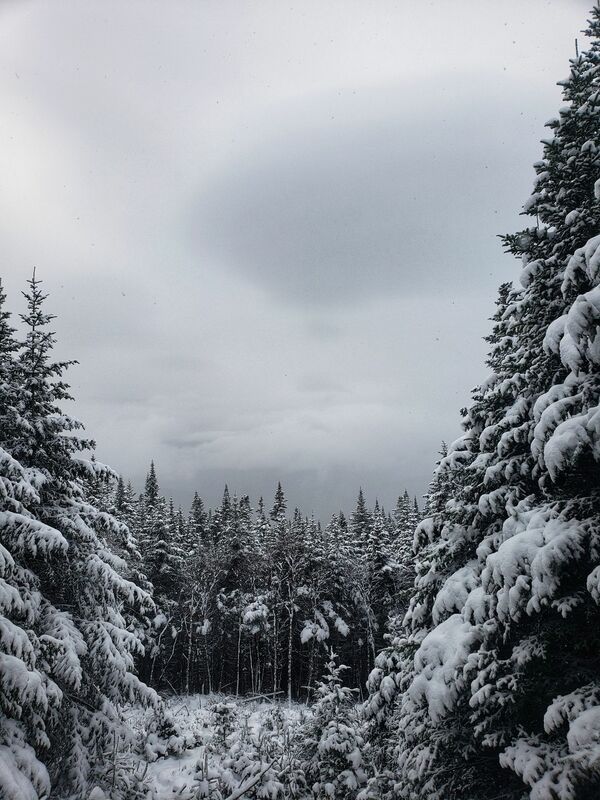 If you brought skis, click in because this is where the fun starts! This peak is too close to the main peak and doesn't have enough vertical above the col to be considered a separate 4,000 footer but it is still worth the short walk to the top to check it out. Walk back to where the carriage road starts down and get ready for an awesome ski descent/long walk down. 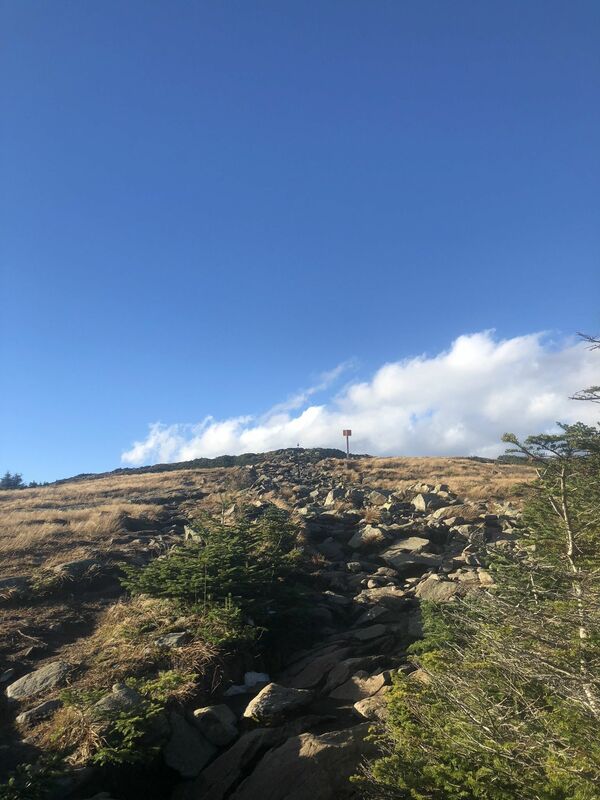 Start your descent down this wide old carriage road but watch for the next POI on the track and the trail sign for "Snapper ski trail" that will bring you back to the Ravine Lodge Trailhead. The picture here is the ascent up South Peak from this junction, the other is looking down the carriage road in summer. 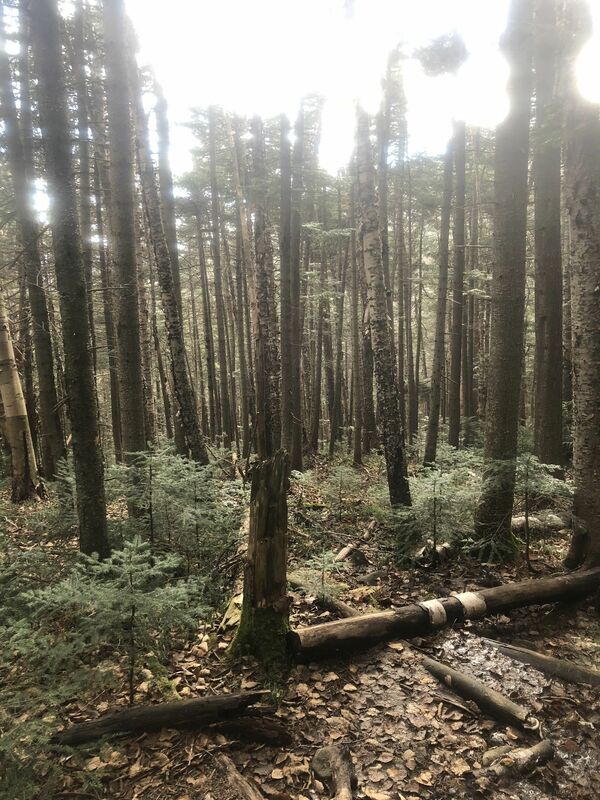 At this junction get off the Carriage road onto the Snapper ski trail going into the thicker woods (narrower trail) to bring you back to the Ravine Lodge Trailhead. If you keep following the road by accident you may end up far from your vehicle. There is a $3 per day parking fee here. Take exit 32 off I-93 to connect with State Route 112 heading West. After just 3 miles turn onto 118 which you will want to follow for 7.2 before turning right onto Ravine Road. Take I-93 to exit 32, North Woodstock, connecting with NH SR-112/118 West. In 3 miles turn on to SR-118 which you will follow for 7.2 miles before turning right on to Ravine Road. Ravine Lodge is at the end of this road. In the winter, the Ravine Lodge Gate is closed 1.5 miles from the Lodge which will be added to your total distance if you ski it, but realistically this only adds 1.5 miles on the way up as you will be able to ski down the road pretty easily on the way out to your car behind the gate. Parking is on one side of the Ravine Rd., although the road is gated in the winter. This hike killed me, but that's my own fault. 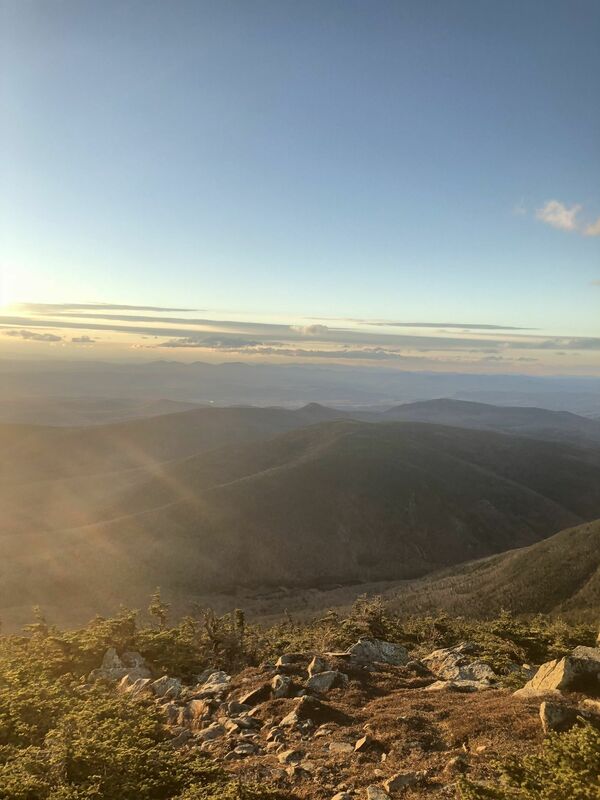 I am 5'0" and 145 lbs, in relatively good shape I run and I lift, and I've hiked many other mountains in the White Mountains. 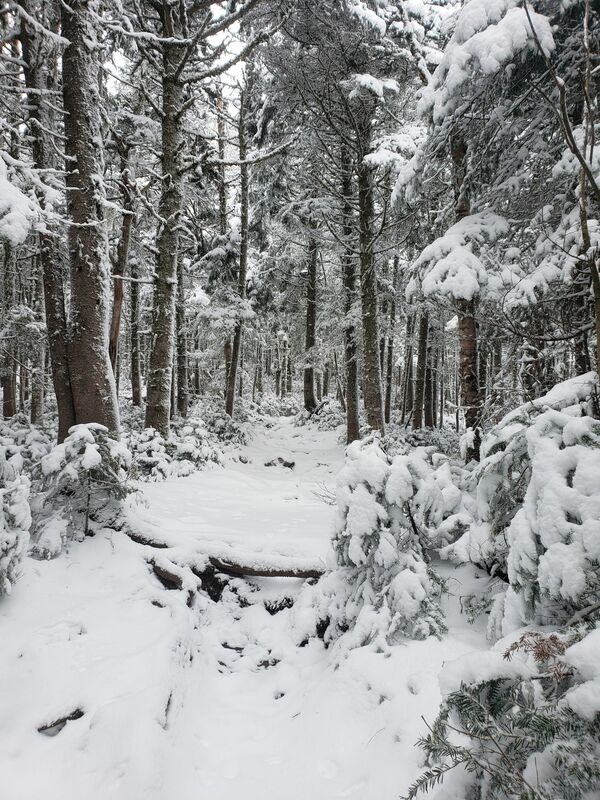 I'd consider myself a pretty good hiker, but I'd never done a hike in the snow. I had crampons and appropriate gear, which was 100% necessary. The hike itself should have been easy and I was expecting 5 - 5.5 hours round trip based off some past hikes I've done. However, the snow wasn't hard packed anymore. I think we just had the perfect conditions to make it a total mess. 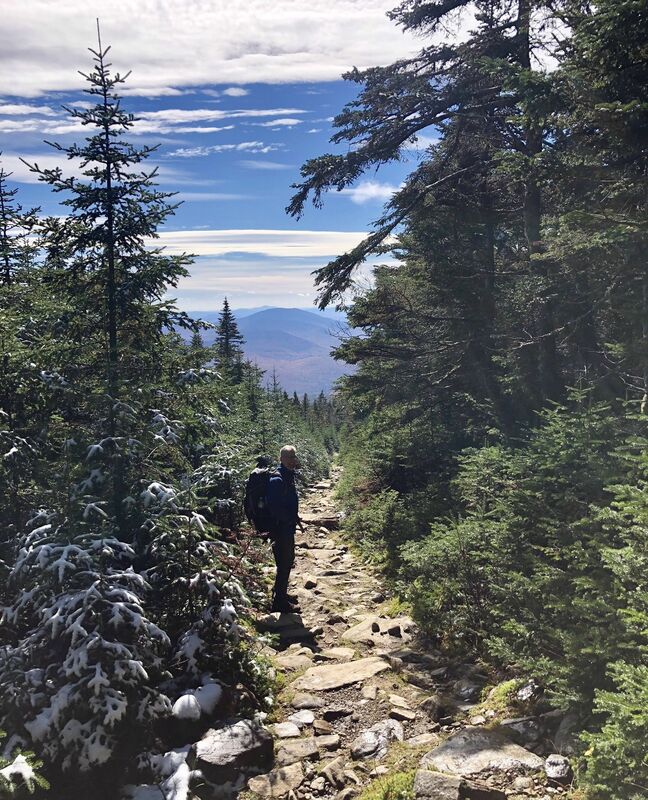 There was still 4 feet of snow on the trail for the most part, and some of it was hard packed, but anything that typically gets sun was soft and getting slushy because it's warming up. Our entire way down we were falling in waist deep every so many steps and it was exhausting. The hike is great, no fault of the mountain. I'm sure the view is beautiful but we had clouds roll in at the top, however we had some awesome views on the way up and the trail is gorgeous in the snow with the river. Just make sure you either go when it's cold enough that the snow is hard packed and you can trot on top of it, or when everything has melted. I've learned spring hikes are hit or miss. But highly recommend the trail! Pretty cold and had to hike in from the road because Ravine Lodge is closed. We used micro spikes until we switched to snowshoes at the trailhead. Great hike. Too cold to hang out at the summit though.. It was truly stunning. One of my fav hikes in the Whites. I was even lucky to see a moose on the top. The view from the top is stunning. You should be able to see the presi’s if it’s a clear day. 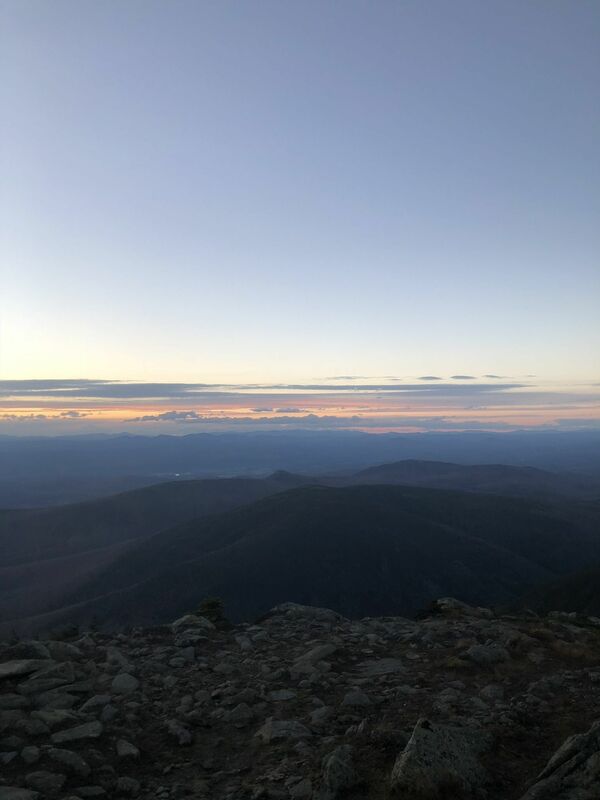 Peak bagging is what sent me to Moosilauke, and I'm really glad it did. 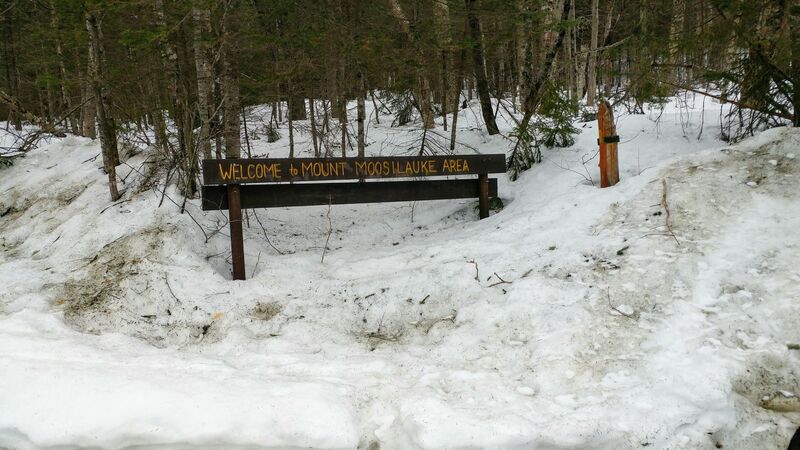 It was about 31* at the trailhead (Gorge brook trail). about 2 miles in i had to stop and put on my micro-spikes. From there to the summit it was ice/snow. Really perfect fall hiking in my opinion. 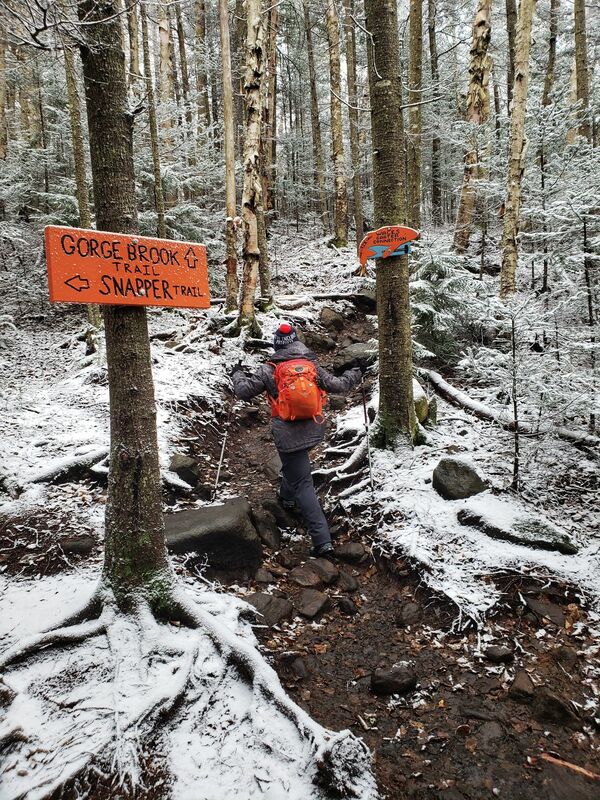 The Gorge brook trail was a steady easy to light moderate ascent. 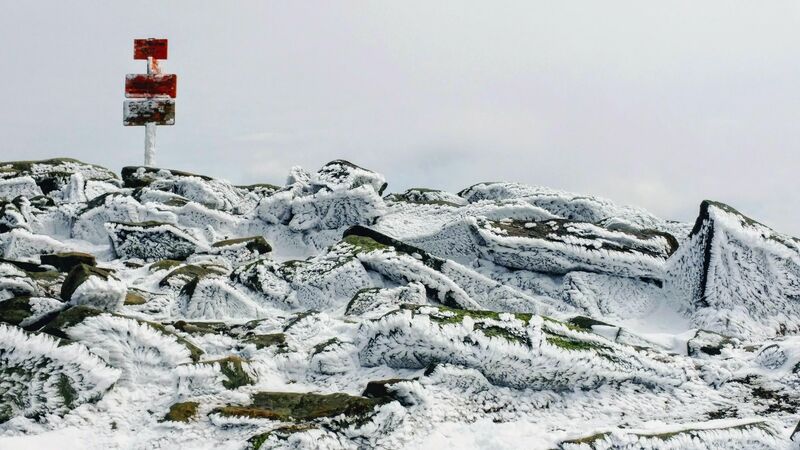 The summit is exposed and was windy when I was there. I only had about 30 meter visibility due to the clouds but the hike was great. 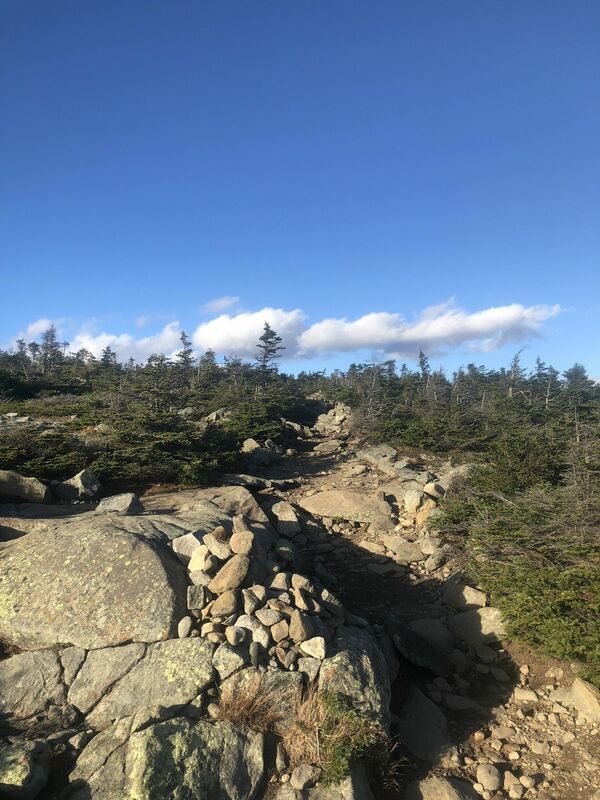 I made my way over to South Peak which was an easy add on using the Carriage road trail. 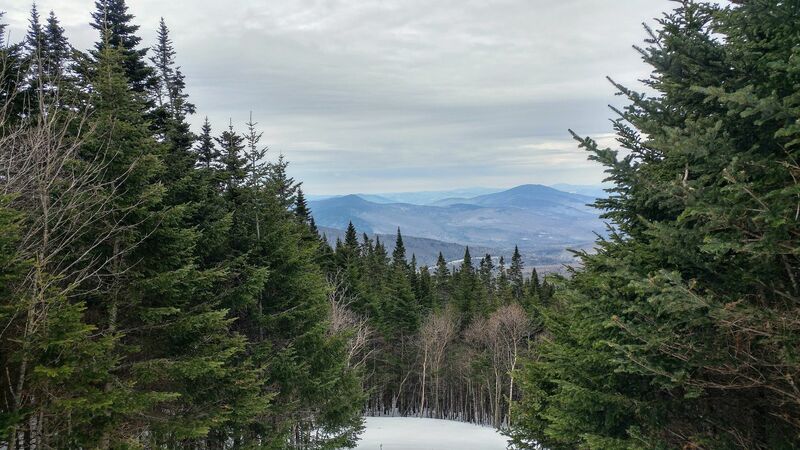 I continued down the Carriage road trail which offered some views below the clouds. 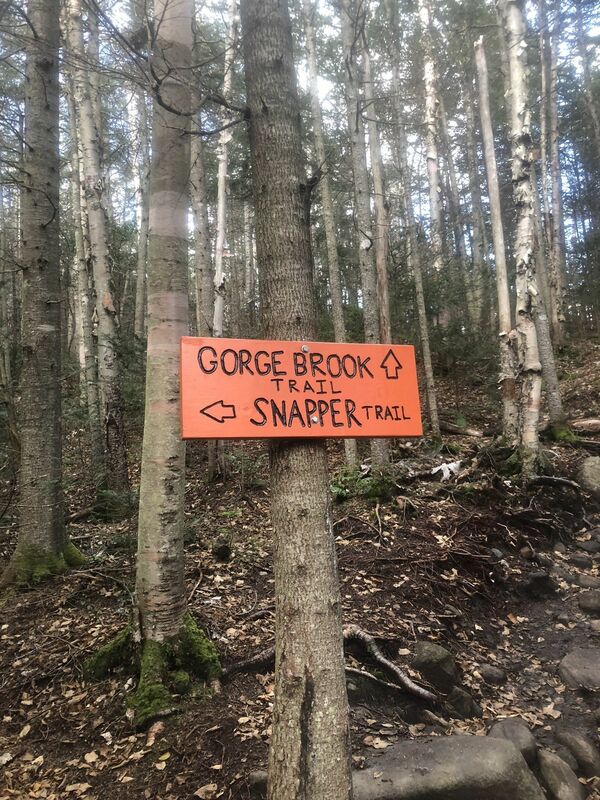 To get back to the Gorge brook trail I took the Snapper trail. Which creates a nice little lollipop loop. Tips: Park up by the ravine lodge as close as they will allow. There are 2 trail entrances. One is down in front of the lodge. The other is at the end of the dirt road...which redirects you to the other entrance. Either method will get you to the trailhead. 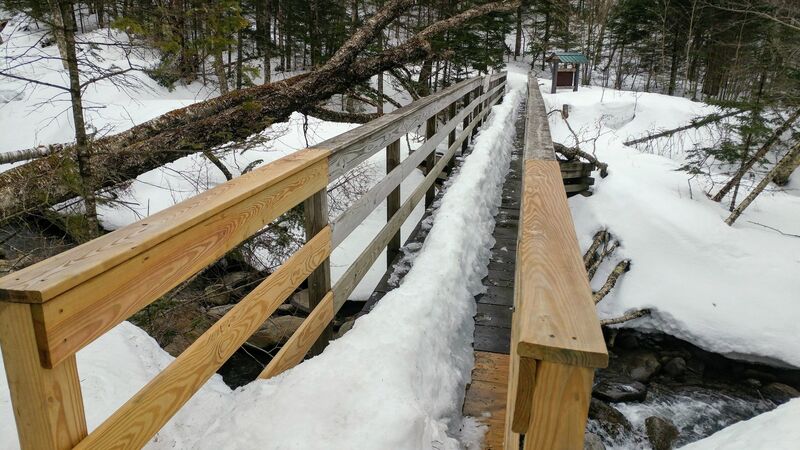 Be careful after crossing the bridge to the Gorge brook trail. 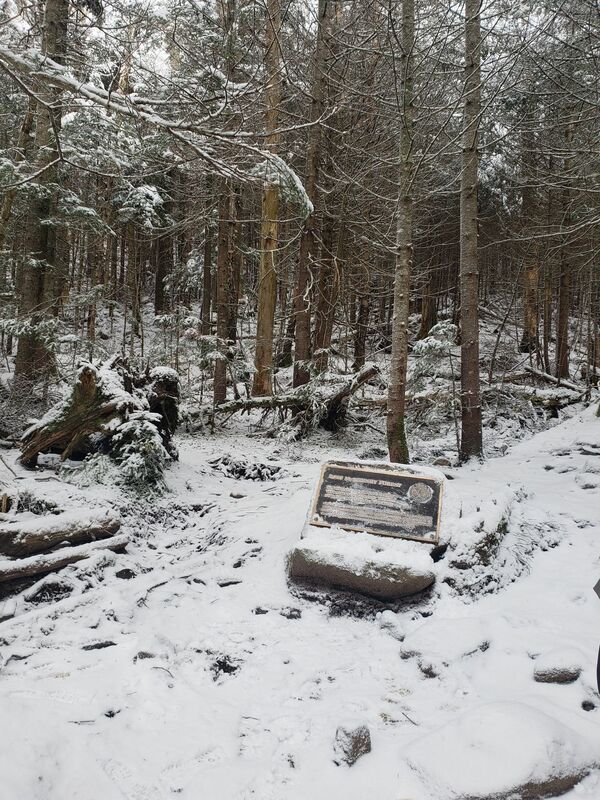 It is not marked but you will need to make a right turn to stay on the Gorge brook trail. If you continue walking along the river you are going the wrong way. 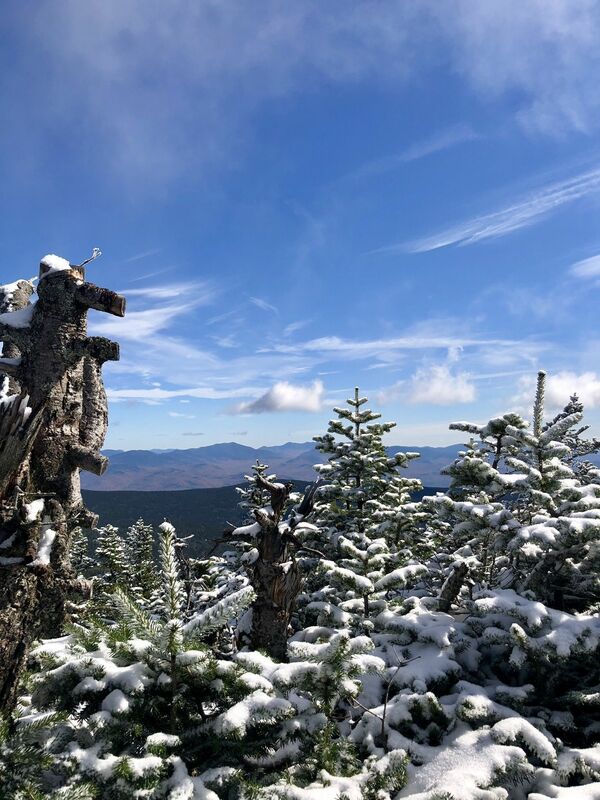 I had some trepidation leading up to this hike, as this was our first early winter hike in the White Mountains, and we were taking my son to celebrate his 10th birthday (this marked his 6th 4000 footer!). That said, I did my research and made several trips to REI to ensure I had the right equipment. 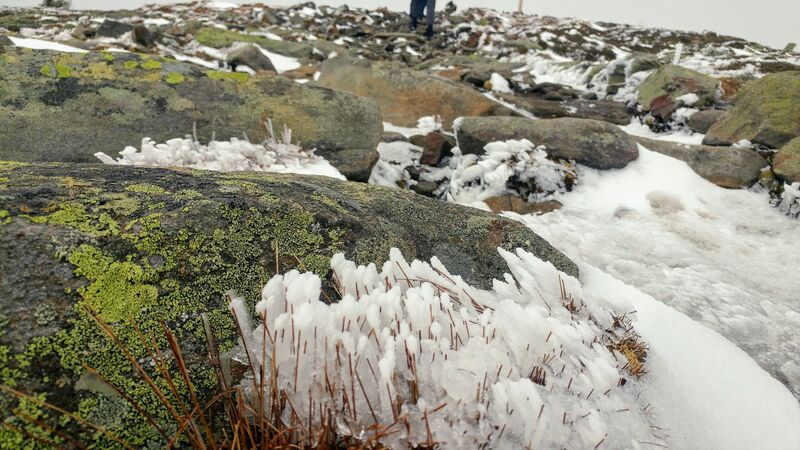 Layers were definitely required and we wouldn’t have been able to complete the journey without microspikes. I’m grateful to the employee at REI who talked me out of the Yaktrax brand and insisted we needed the actual spikes. 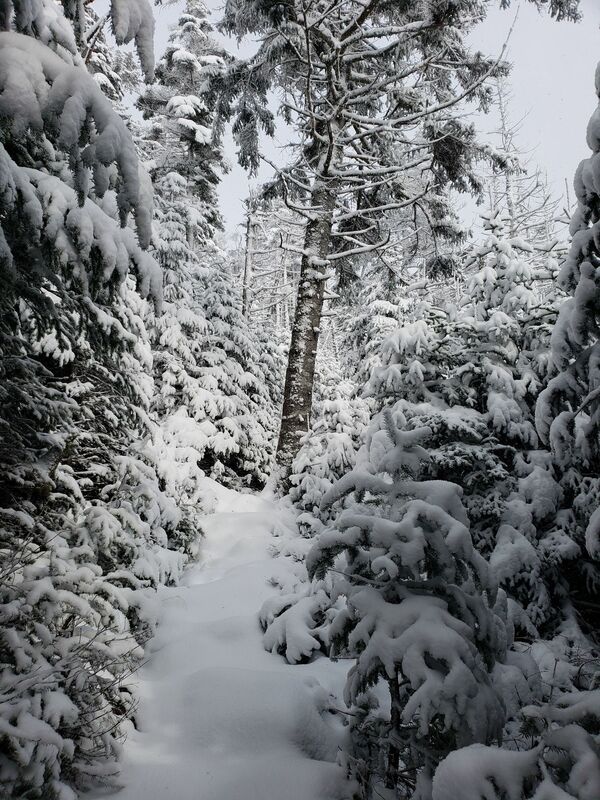 The journey through the trees covered with ice and snow made for an added degree of difficulty but is doable. The entire loop, and short trip to South Peak took us about 5.5 hours, allowing us time to take several short breaks. The only reason I’m not giving this 5 stars is simply because we had no visibility at the summit. But thats not the mountain’s fault! 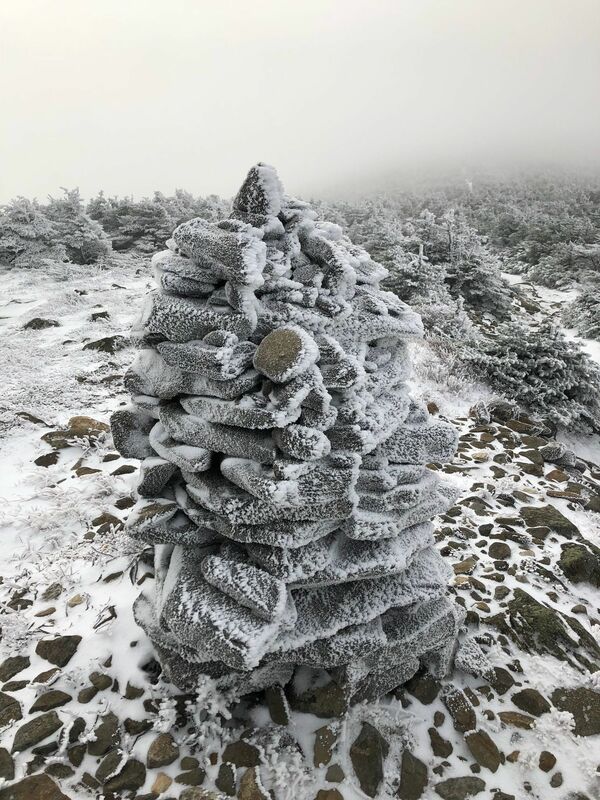 The cold whipping air and frozen over summit marker just added to our memories of a great hike! As an aside, I’d highly recommend staying at the Ravine Lodge and getting some warm food and rustic comforts!!! 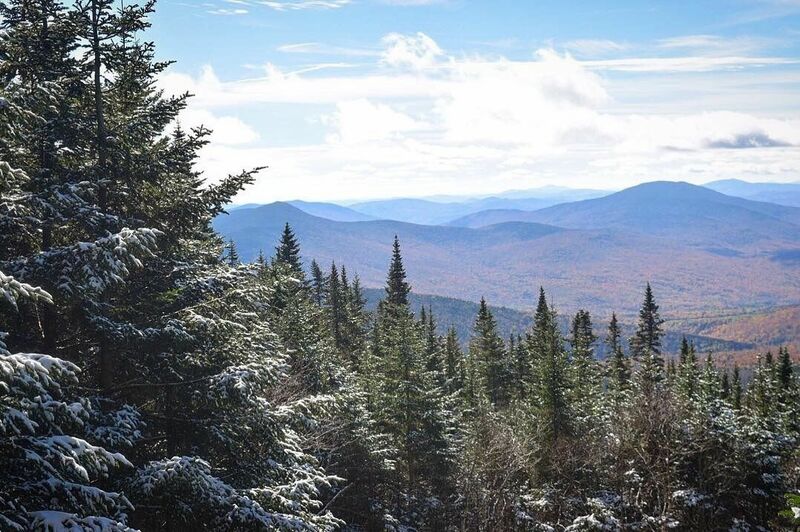 Fantastic early winter hike! 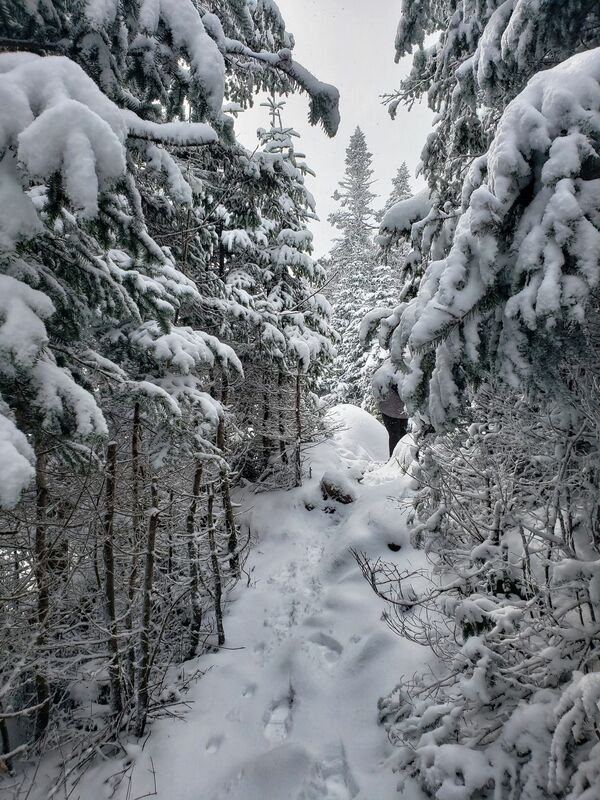 The hike itself is definitely more on the moderate than difficult level but the winter conditions added a degree of difficulty. Required spikes and layers - would not attempt without. Completed the loop in just over 4 hours including a beer break:) would stay at the base lodge next time! Second time but this time made it to the summit, first time we ran out of time and head back down. 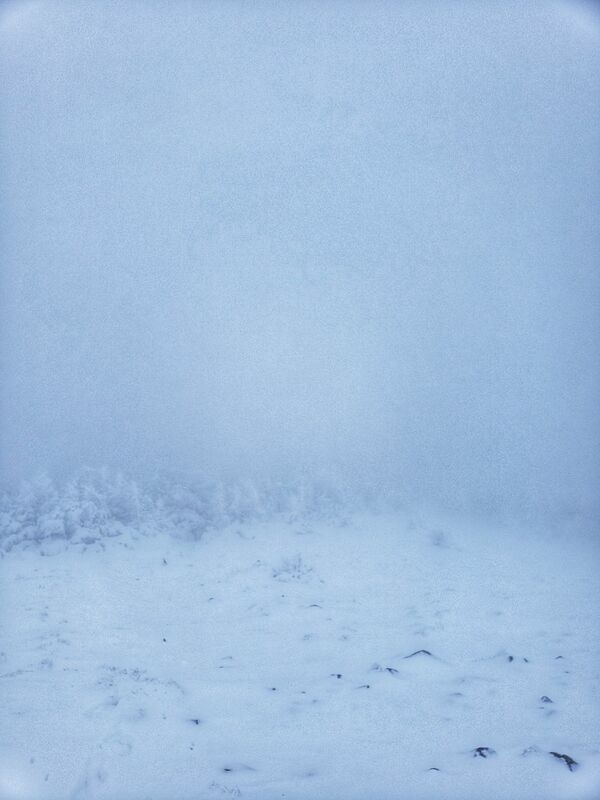 This time it was a total white out at the top. We made it at 100pm to the summit could not see the feet in front of us. Snowed the day before about 6 inches. We were prepared with extra layers, snow boots, spikes(which I didn't have to use).Very icy and slippery. 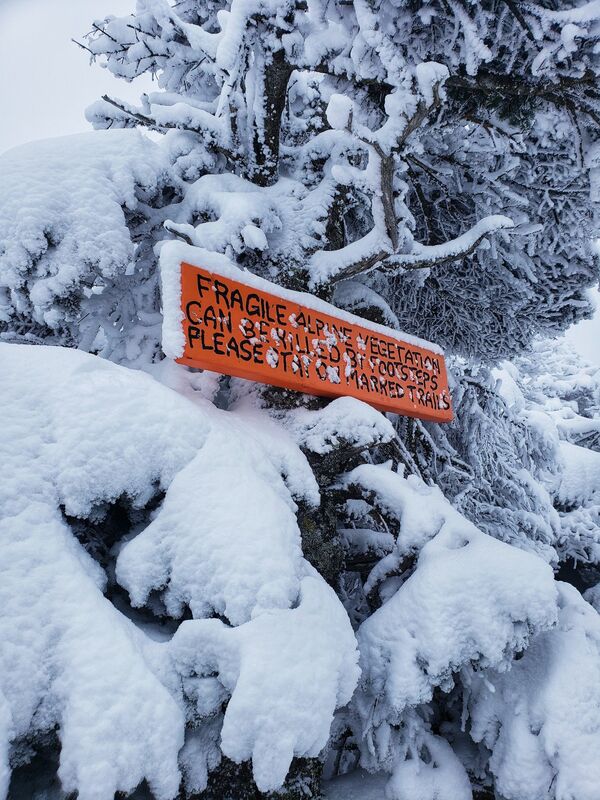 Not for the faint of heart, with the snow up to our knees in some parts. Don't let the bottom weather fool you. Check the weather before heading up. 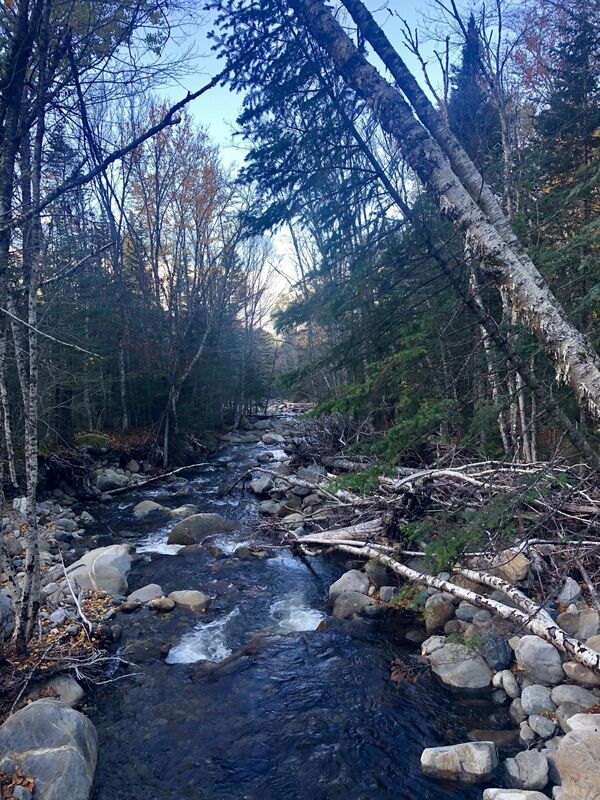 Definitely one of the best loops in the White Mountains. Expect a short road walk, since you can’t park at the Ravine Lodge. 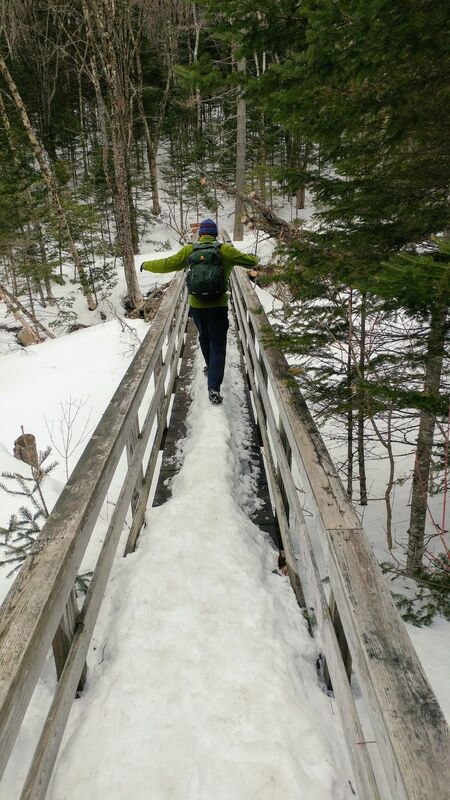 Once at the Ravine Lodge, I would recommend ascending Gorge Brook, the “steeper” of the two. Gorge Brook is pretty easy as far as trails go in the Whites, with no scrambling and lots of switchbacks. You follow the brook for the first half. 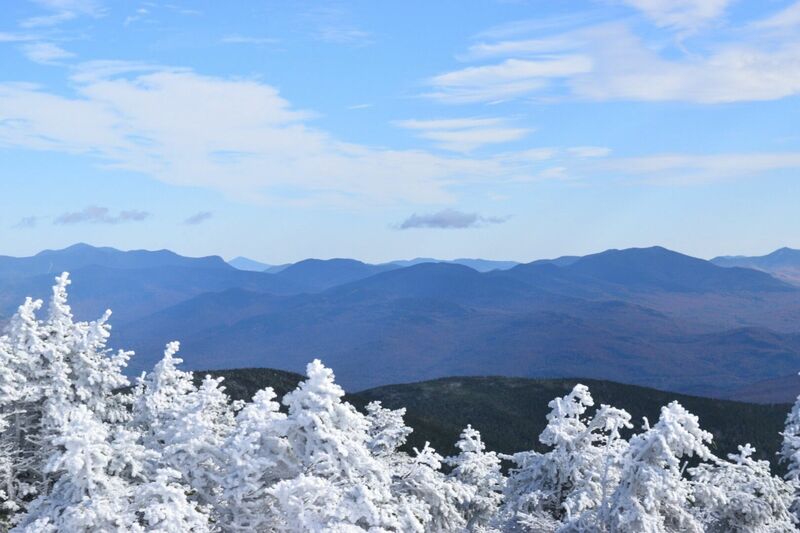 The summit is pretty spectacular, with about 100 miles of visibility, and views of the White Mountains and Green Mountains. The Carriage Road is a very easy descent, very wide and low angle. It’s a ski trail in the winter, so it’s designed to meander along the mountainside at an easy grade. 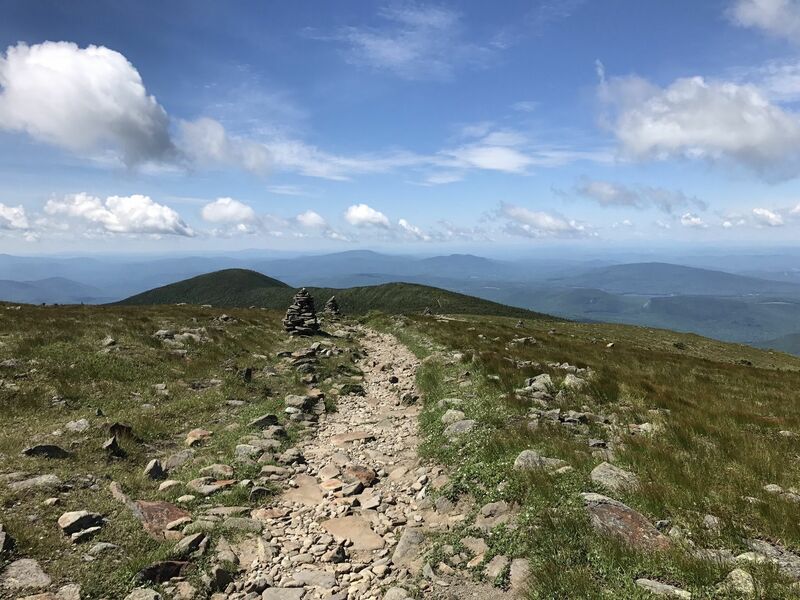 The 0.1 mile spur to South Peak is definitely worth doing. Definitely would recommend this to anyone who likes hiking. Also, if you want a fun adventure, do what we did and make it a sunset hike! 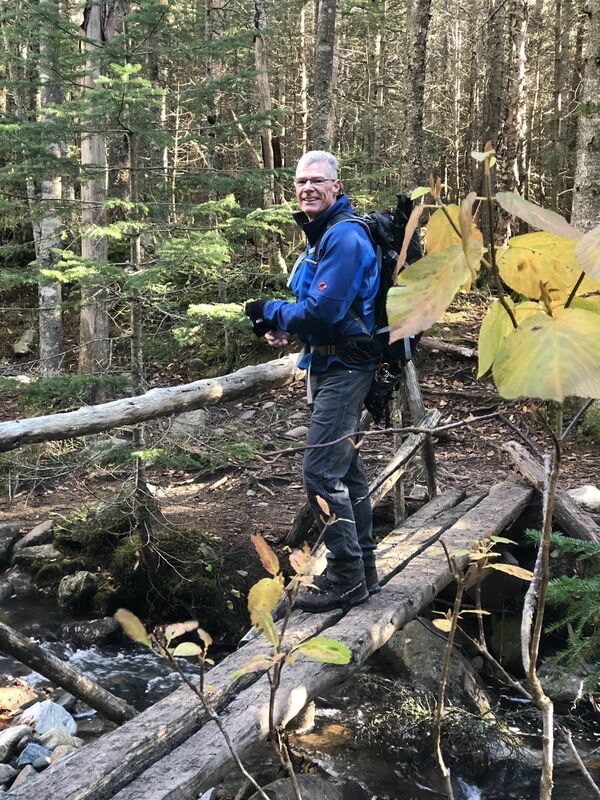 We did Asquam Ridge to beaver brook to Gorge brook. It was a 9.2 mile hike, 5.5 hours. 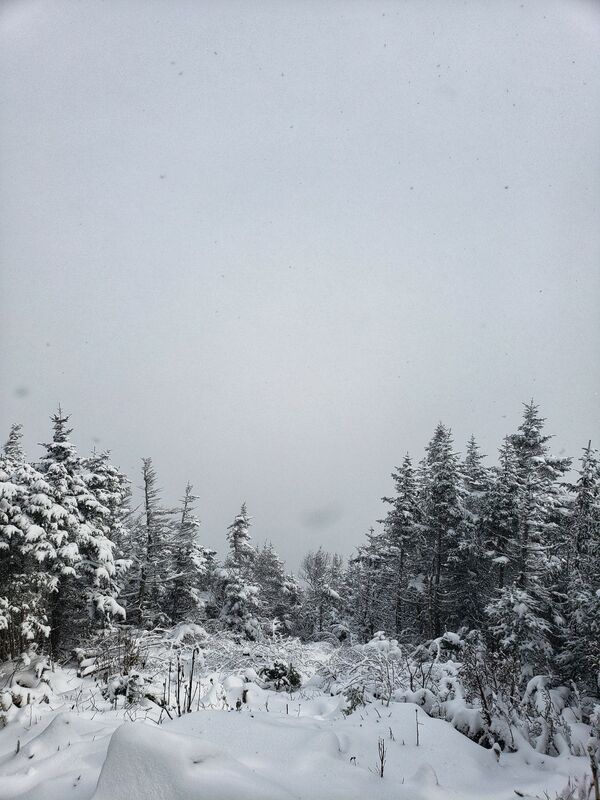 You could probably do it quicker, but we had a mini snow storm during our hike. Gorge brook was a lot easier trail than Beaver brook. Beaver brook was very rocky with some scrambling (took us about 49 minutes to go 1 mile on that portion in the snow) . 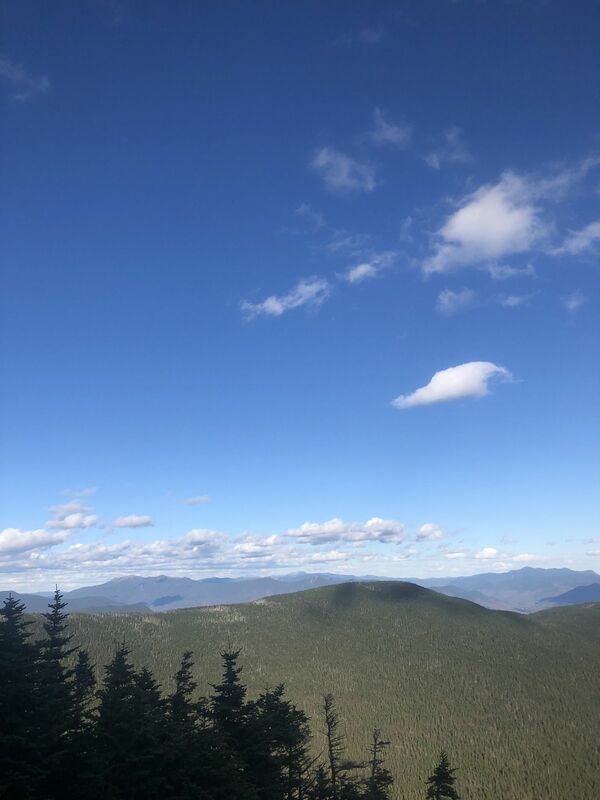 We didn’t get views at the summit, but getting two seasons in one hike and facing your fears by summiting a mountain when your tears are freezing and you can’t see more than 15 feet in front of you, gives you a huge adrenaline rush. I was terrified on the way up because of all the snow, but coming down I was so happy with excitement because I was so proud of myself. 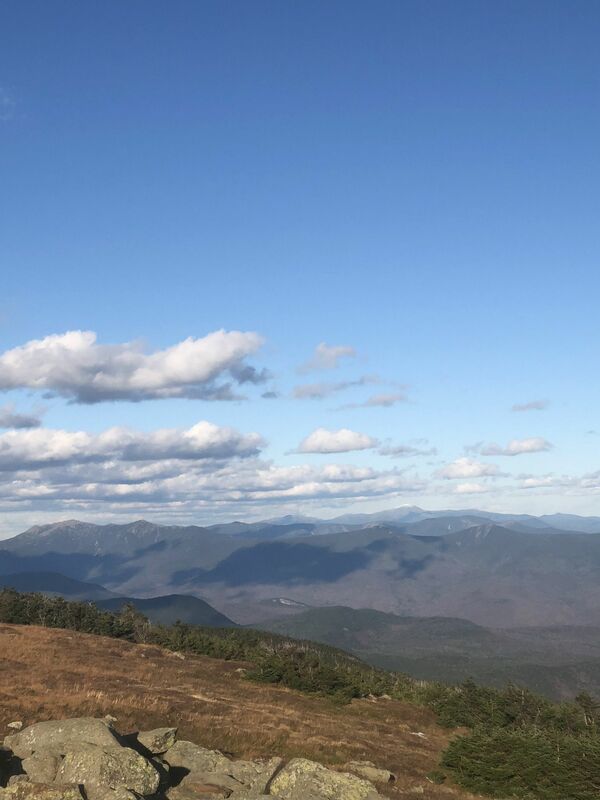 This hike will for sure make you feel accomplished! Awesome hike! Gradual easy incline up Gorge Brook trail. This trail has the best views headed up. We went down Carriage Trail to Snapper to head back to parking by the Ravine Lodge. Took us about 5.5 hours with a stop for lunch at South peak. Highly recommend doing the 1/10 of a mile sidetrack to see the views! 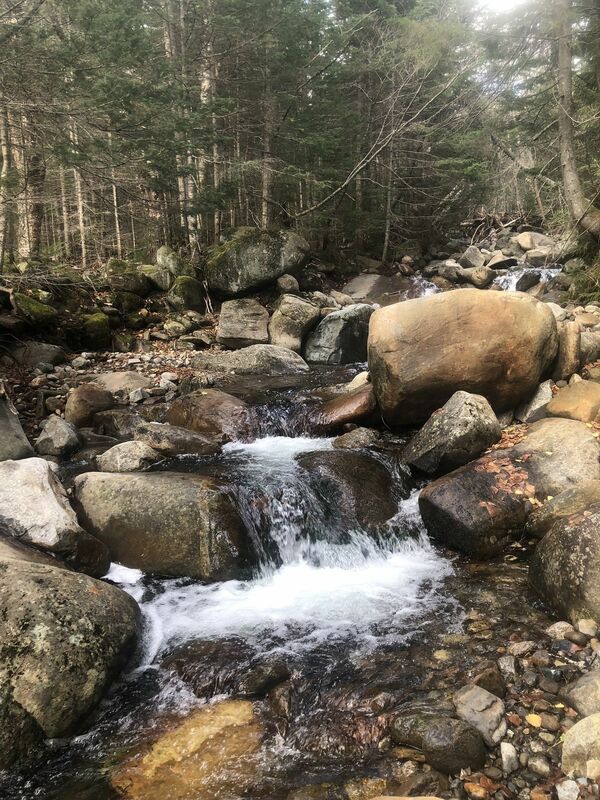 One tip - don't miss the Gorge Brook trail- go over first bridge, take a left, you will be walking along the brook, about 100 yards, take a right up to the trail. If you're walking along brook awhile, you've missed the turn. Have fun! Awesome trail. We went when there was bad weather so the top didn’t have much of a view. But it was a great hike overall. I highly recommend. 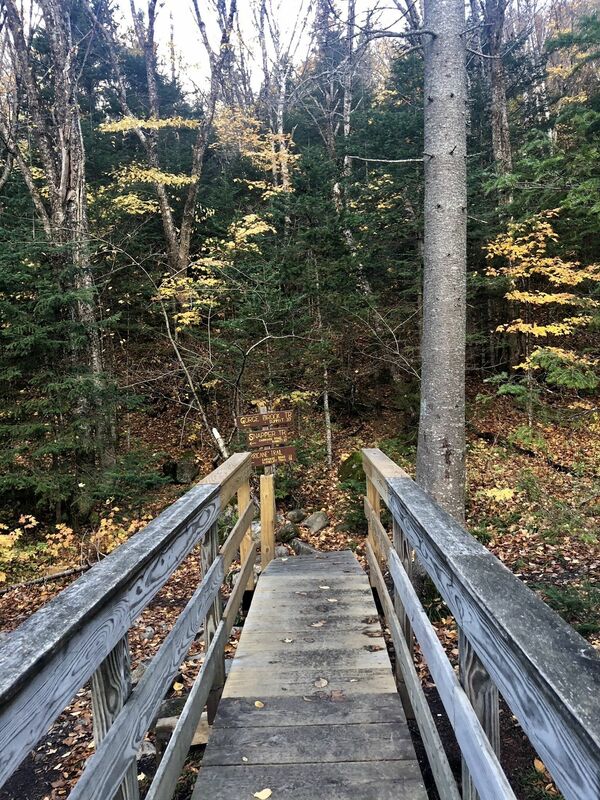 Great trail, not super hard as long as you’re in good shape. Took me 4 hours round trip with about 15 minutes spent at the top of each peak. There was snow starting at about 3,500 feet and the peaks were very snowy/windy. Would definitely recommend this hike. 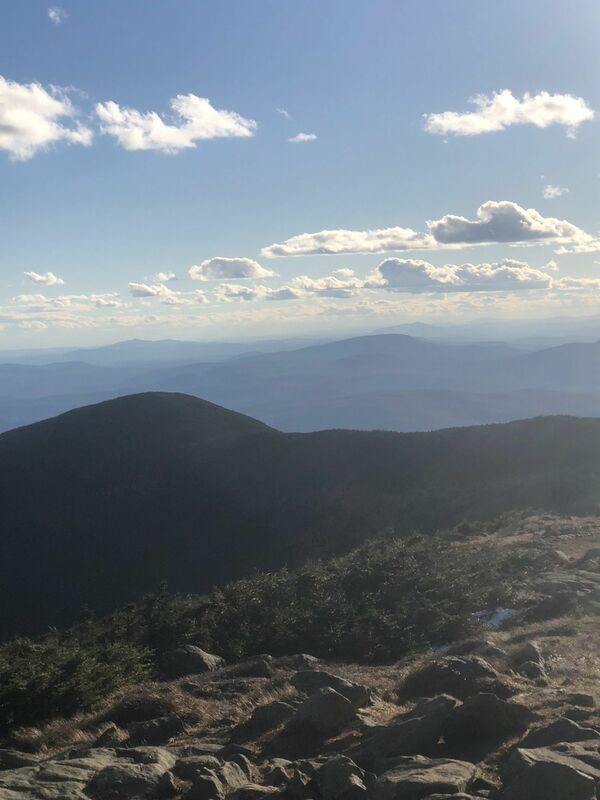 Hiked the South Peal Loop on Saturday 10/6/2018. 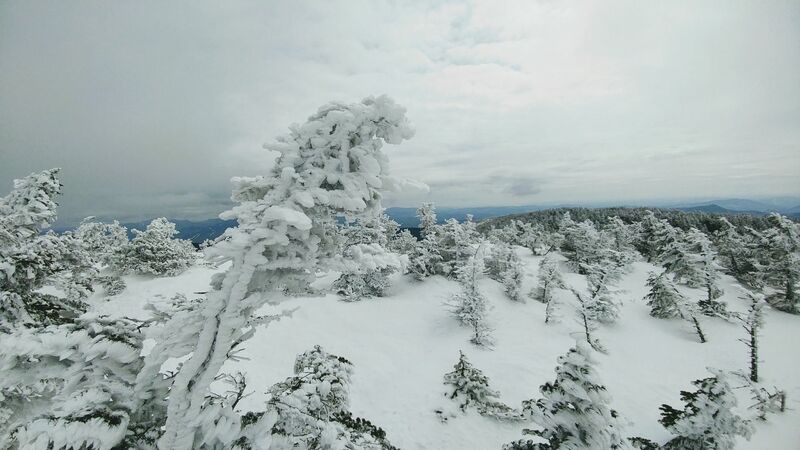 We were optimistic that the weather would cooperate to allow views that so many have reported in their reviews. Unfortunately, we were in clouds and fog for most of the hike and only got brief glimpses from the summit. The hike totaled just over 8 miles from where we parked which was about .7 from the trail head. We did not bother to take the .1 out and back to see South Peak. 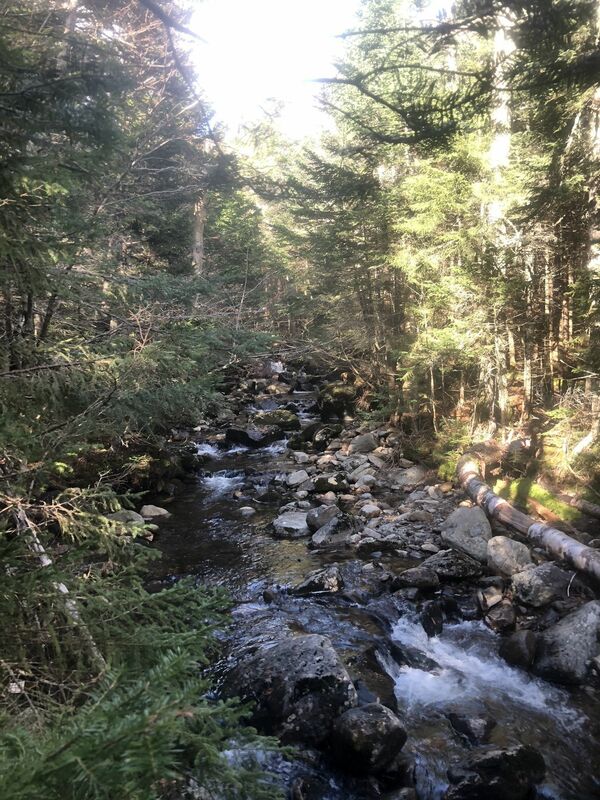 As others have noted, there is a distinct lack of trail blazes on Gorge Brook and Carriage Road trails which I found strange. With the holiday weekend, there were plenty of people on the trail but it was never overbearing. All-in-all, it was nice to get one of the higher of the 48-4,000 footers and it's a very manageable hike. The Moosilaukee Ravine Lodge s absolutely spectacular and hopefully we'll return to stay there and get Moosilaukee on a clear day. I think this is rated correctly as “hard.” This is not an easy trail given all the rocks that need to be navigated. And signage isn’t clear at spots but we found our way. Otherwise a fun hike. Very nice hike. Agree with other reviews that the beginning is not marked. Luckily there was another hiker who told us where to go to find the start of the hike. More signage would have been beneficial. Hiked up the Gorge trail and it was an ongoing climb. If you're in shape it's not bad at all. If you're not, this may get your blood pumping. Gorgeous views along the way. 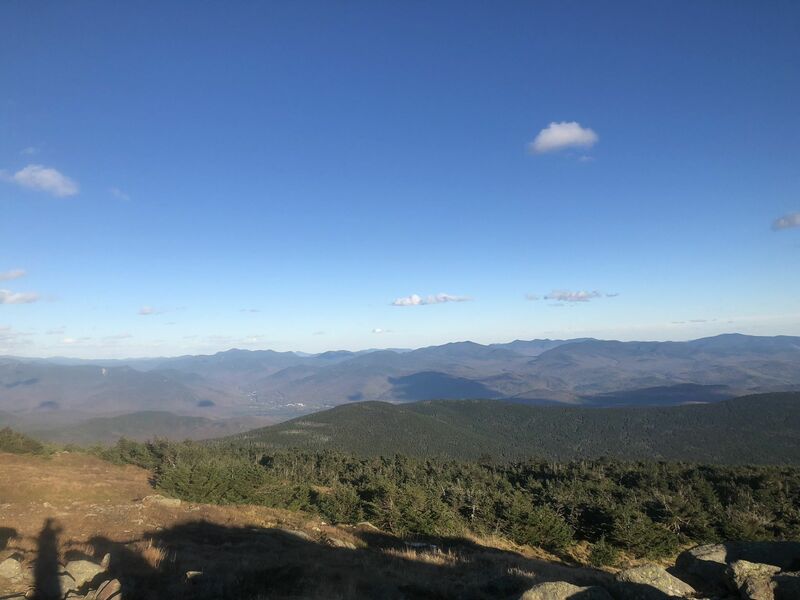 The summit was beautiful: full 360 panoramic view: it was spectacular- not a cloud in the sky. The hike down running the carriage trail was nice. Gorgeous day. We didn't see too many hikers which was nice. A handful at the summit at 11a and along the trail. This would be even more beautiful during the foliage season. If you are in any shape remotely resembling physical fitness, then you'll find this to be a piece of cake. My only criticism is that it was a little TOO easy, given the time it took me to get there. 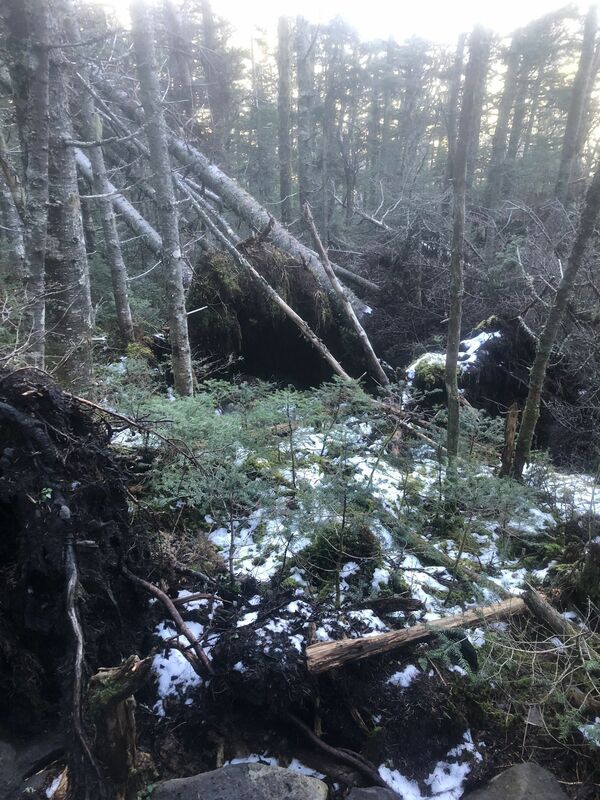 But with that said, if you're not in the best shape but you still want to hike to a beautiful little alpine zone, this is your trail. I took Carriage Trail to Snapper Trail back down, and it seemed equally gradual. You'll never find as friendly a hike with such a good payoff at the top. Very easy ascent with no scrambles and a few good lookouts along the way. Bring a jacket! 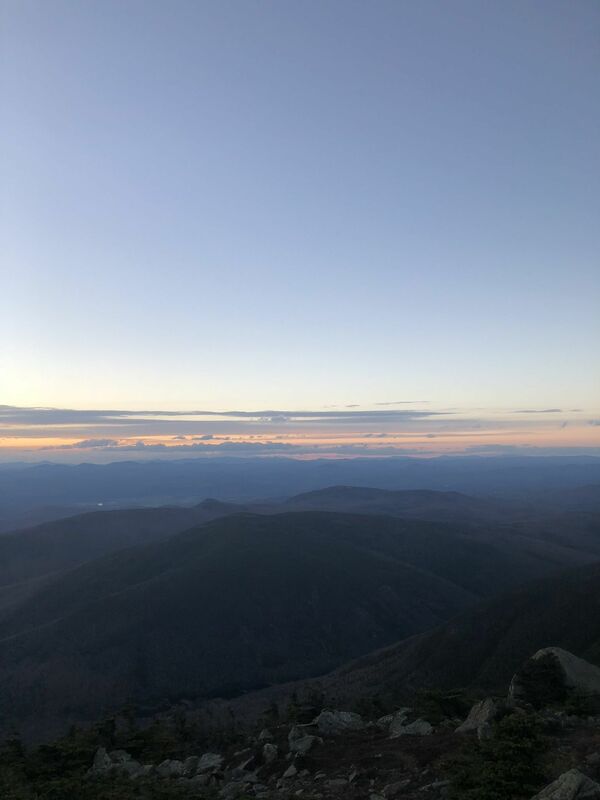 Bald summit = cold and windy. I went early on a Thursday morning and there were a ridiculous amount of people heading up as i went down, so this isnt really a good place to go escape crowds, but the views were unreal, so it was worth it. It took me 4.5 hrs including 15 mins at the top and a few breaks at the other views. I can see why they call her the gentile giant. Very gradual elevation gain, with not a lot of scrambling, and a decent amount of above tree-line hiking. 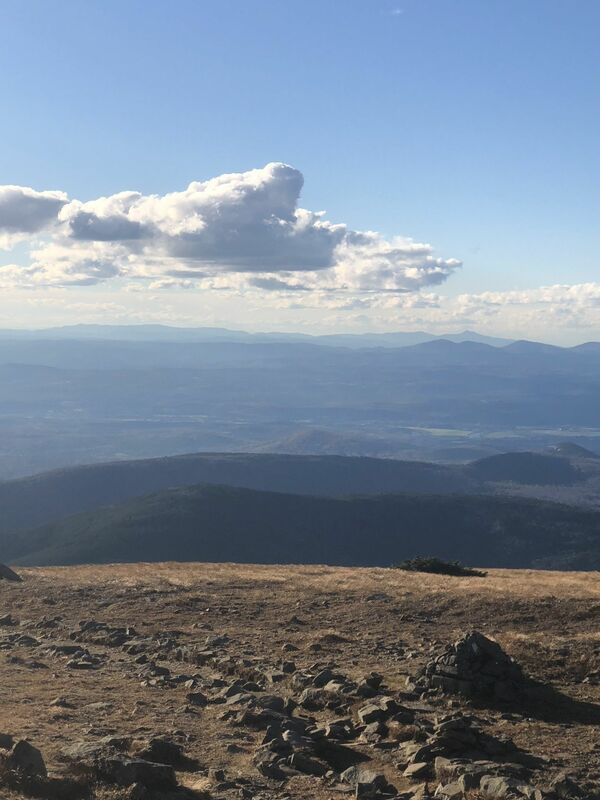 Pretty cool summit with 360 degree views on a clear day..
Just an absolute joy of a hike on the first crisp day of the season. 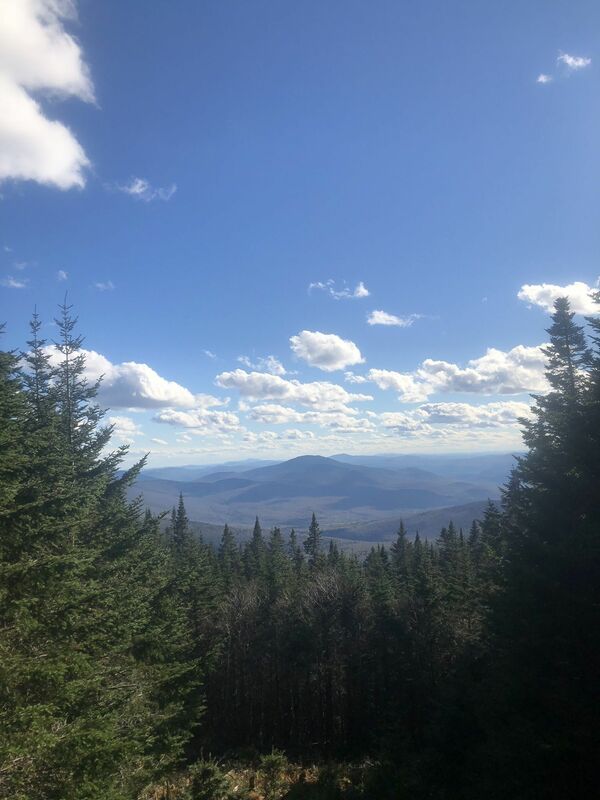 The ascent is broken up with wide, smooth, gently inclining sections, and the descent down the carriage road is easy, and lovely with some pretty views every now and then. The summit offers a wonderful 360 with lots of room to spread out and a couple of dry laid curved walls for shelter if the weather is bad. 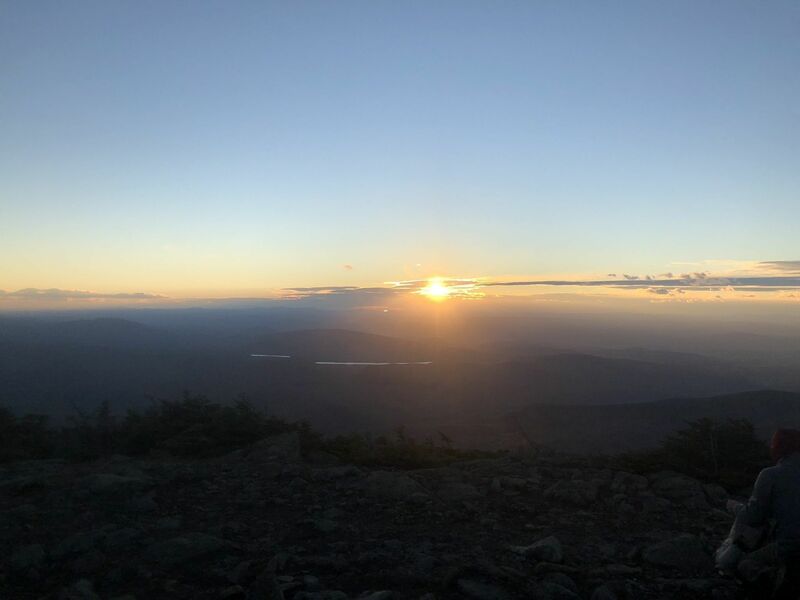 I took a runner friend who hasn’t hiked much, and round trip was about 4.5 hours including 15 minutes at the summit and another five minute break to let a group of Very Loud Talkers pass. Awesome trail for families! 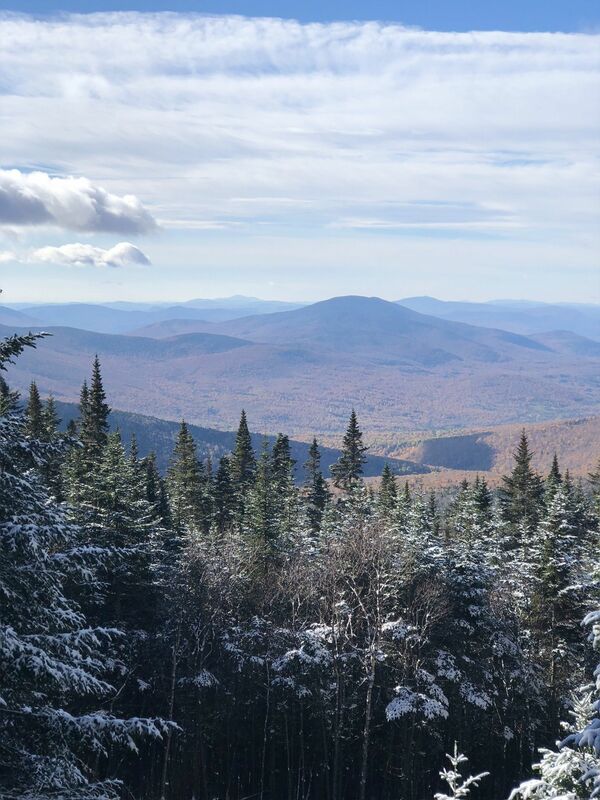 Beautiful mountain, heavily traveled, easy to follow trails. Took Gorge to summit carriage back. I gave it a 4 because it was difficult to navigate the first few miles. I guess I'm out of shape, but I would call this trail more difficult than moderate. Very hard on the knees, very rocky. Nice views at the top, but I can't say I would do this again. At least I bagged another 4000 footer. Easy hike up with the dog. Very crowded on the holiday weekend. Excellent views. Erica Kahn recorded Challenging, but Incredible Views!